Since Priyanka Chopra and Nick Jonas tied the knot at the grand Umaid Bhawan Palace but fans are still busy looking and gushing at their dreamy fairy tale wedding album. Peecee in white wedding wore a customised Ralph Lauren gown while in the Indian ceremony Nick took saat pheras with his desi girl wherein she adorned a red Sabyasachi lehenga. A dream marriage took place amidst family, friends and lot of mirth. 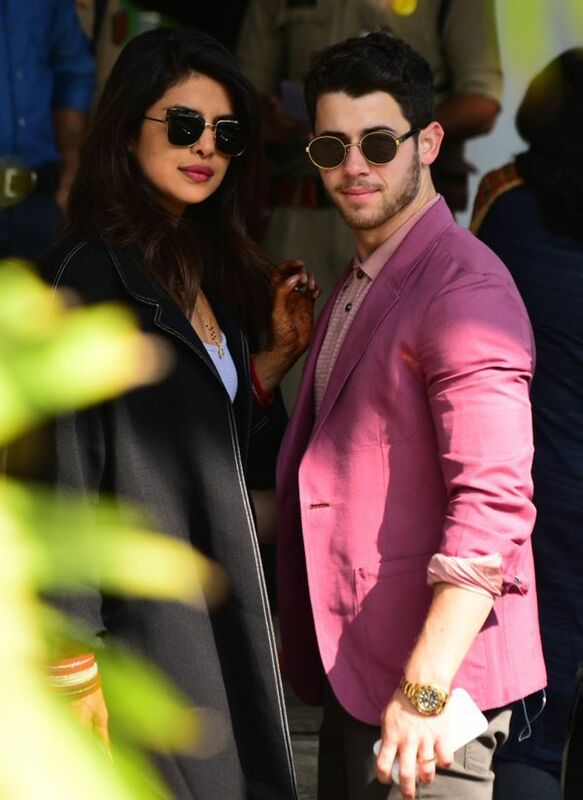 PeeCee and Nick now have taken off to Udaipur to attend the big, fat Indian wedding of Ishan Ambani and Anand Piramal. The power couple was also present at the NickYanka Wedding and now it's the global pair's turn to dance . Nick and Priyanka were spotted at the airport today . PRICK Dressed in comfort wear lookd adorable. The celebrity guests have started pouring in to get pleasure from the wedding festivities of the soon to be married couple Anand and Isha. While the Ambani family has already reached and started the celebrations with an 'Anna Seva' where they fed 5100 kids, the big event will start from today, as reports suggested.